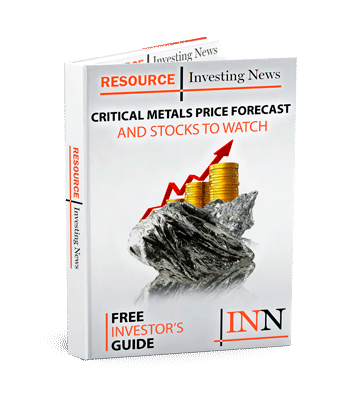 Scandium International reports it has signed a Letter of Intent with Eck Industries, to begin testing scandium alloys for commercial use. Scandium International (TSX:SCY) reports it has signed a Letter of Intent (LOI) with Eck Industries, based in Manitowoc, Wisconsin, USA. Eck is a privately held manufacturer of precision sand cast parts, and engineering services, using both aluminum and metal matrix composite alloys, servicing a significant global customer base. The LOI calls for the Scandium to contribute aluminium-scandium master alloy 2 percent, for mixing and trial-testing of proprietary alloys by Eck, in their commercially available product lines. The test work will be undertaken at Eck’s production facilities in Manitowoc, at small production scale. Eck intends to report the results of the testing program utilizing their scandium-containing alloys, as does SCY, upon completion of the testing period, which extends a minimum of six months. “We are pleased to add Eck Industries to our growing list of innovative casting partners, excited to test scandium additions in their production foundries, and on their current products. Eck has a recognized passion for quality, they sell into applications that rely on that quality, and they have experience developing alloys and using scandium. They represent a perfect group to investigate the advantages of scandium in their business,” said George Putnam, CEO of Scandium.